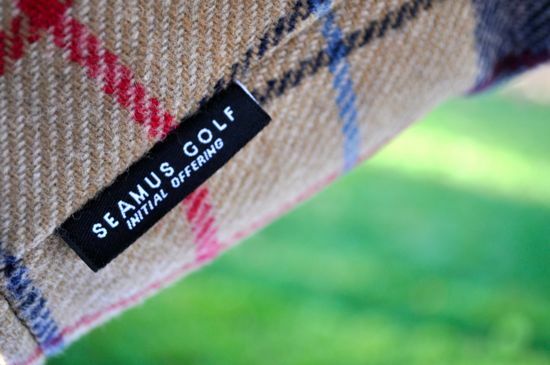 Seamus Golf is a great example of a company that we started this blog with the desire to cover. This is one of the companies that seems to internalize so many of the things that we believe a golf company should be about. 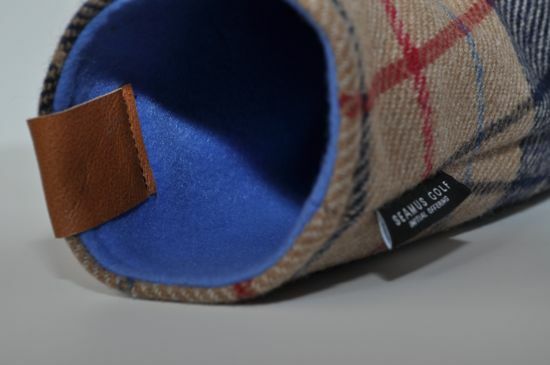 Seamus Golf makes beautiful headcovers and they are currently being produced in limited quantities. The craftsmanship and designs that are being offered by Seamus are the best that I’ve seen. There’s something magical about the covers that has me smiling from ear-to-ear every time I head out to the course. I have two different headcovers that I’ve used and I would classify both headcovers as an absolute joy and honor to use. These covers simply feel like they belong with me. The first thing you’ll likely notice is the look of the covers. 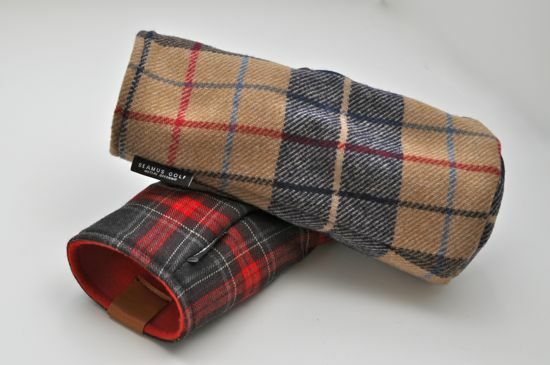 The Seamus Golf covers feel both traditional and modern at the same time. 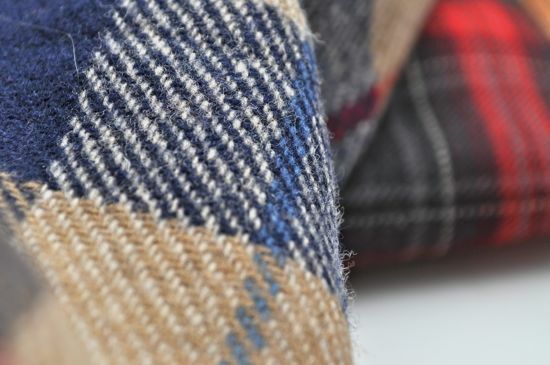 The attention to detail (such as the inner pop colors and complementary yet contrasting color ways and patterns) is something that I really enjoy. Over the past month I’ve had numerous people ask me about the covers – they simply look great in the bag and are much different than the stock covers that you see in use by the majority of players. The next thing that stands out is the feel of the covers. 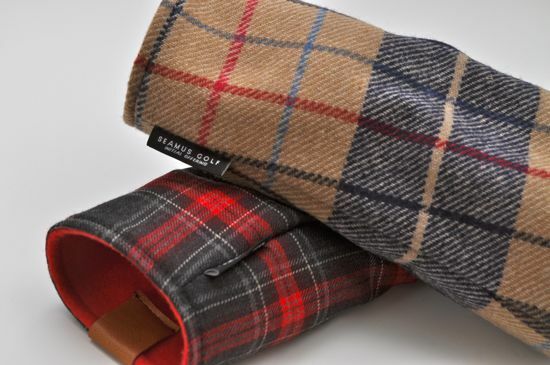 The outside of the covers is a tartan wool fabric that is very soft and extremely durable. The covers pull off of the club without much effort and are just snug enough at the bottom to get them back over the clubs without excessive working or pulling. 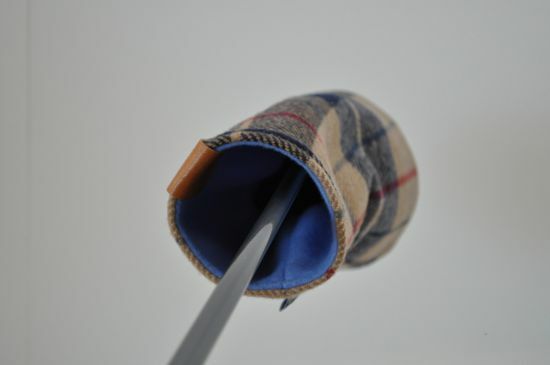 A combination of the tapering and inner felt lining allow the cover to slide over the head of the club smoothly. 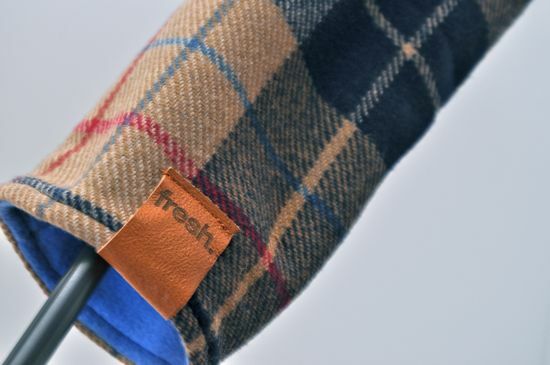 The headcovers are designed exclusively for fairway woods and you can tell that a lot of thought has gone into the patterns that Seamus is using. 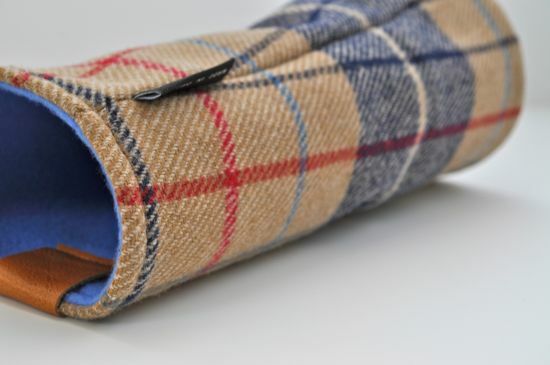 The insides of the covers have an inner stitching that naturally cinches to keep the club cover in place so that you don’t have to worry about the cover falling off. You can put the head of the club towards the ground while shaking vigorously and the headcover will refuse to slide off of the club. 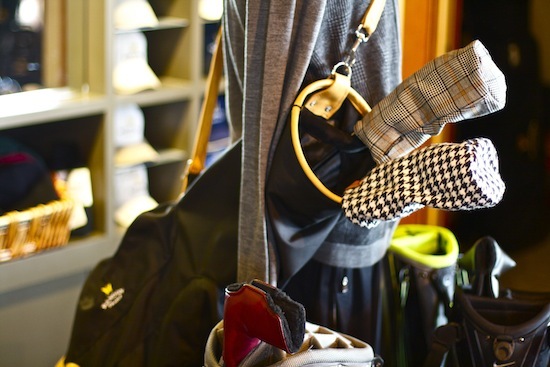 Although the headcovers are secured with the cinching – it still only takes a slight tug to remove it from the club. 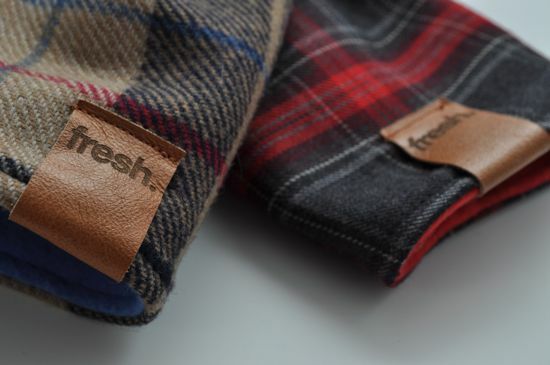 As if the look, feel, and design of the covers weren’t enough – the headcovers are designed and stitched in the USA. 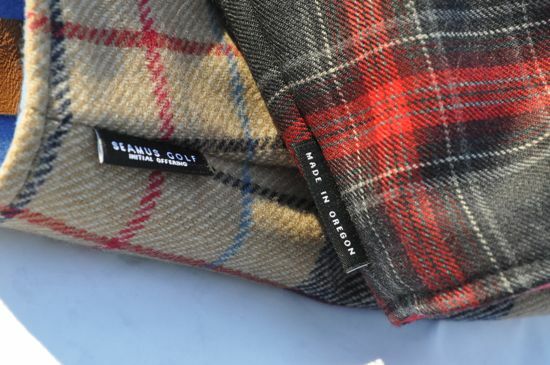 The wool is milled in the Pacific Northwest and the covers are all stitched and created in limited runs of 2 – 20 in Oregon. While we test a lot of great products on Fresh – it’s rare that we can say that anything is perfect. In this case, perfect is the only way that I can think of to sum up how I feel about these covers. I have a feeling that my Seamus covers will stay with me well into the future. 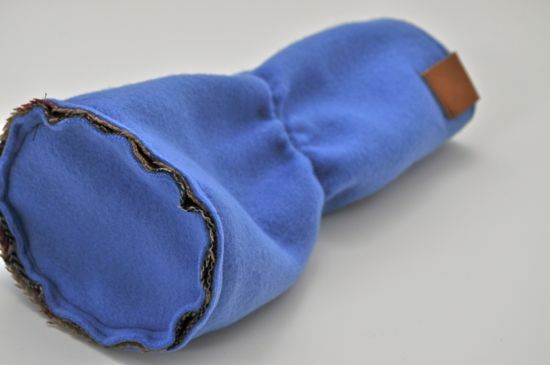 If you want to get your hands on some of these headcovers then you need to either travel to the shops at Bandon Dunes or visit the seamus golf web store and hope that they’re not sold out. If you want to see some additional images of the covers that were used for this review, you can see many more high-resolution photos in the Seamus Golf photo album on our Facebook page.